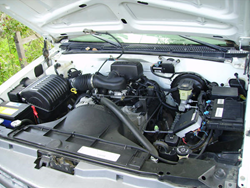 Isuzu Ascender Engines in Used Condition Now for Sale Online at Used Engines Co.
Isuzu Ascender engines in used condition will now be available for retail sale courtesy of the UsedEngines.co company at http://www.usedengines.co/isuzu/isuzu-ascender-engines. The sport utility vehicle series manufactured at the Isuzu company includes the Trooper and Ascender vehicles sold in the North American auto market. The Used Engines Co. will now be supplying Isuzu Ascender engines in used condition in multiple displacements for consumers. Details about the all new units in stock can be obtained at http://www.usedengines.co/isuzu/isuzu-ascender-engines. The units that consumers have access to purchase this year include the models that were manufactured between 2003 and 2008. The GM produced 4.2-liter and 5.3-liter have been acquired from automotive salvage suppliers and will be distributed direct to adults placing orders this year. A matching feature for VIN numbers is provided in the searchable database at the UsedEngines.co website. "Both the Trooper and Ascender vehicles are supported through our revised inventory of preowned V6 and V8 motor blocks," a rep at the Used Engines Co. said. One common problem that the average consumer can experience when shopping for replacement automotive components on the Internet relates to incorrect mileage. Because not every dealer accurately promotes block mileage, consumers can receive a motor that has higher than expected mileage. The Used Engines Co. now verifies all of its mileage before distributing ordered products. "The stock 75,000 warranty for brand new Ascender vehicles is not something that many second hand parts dealers support although we have expanded our terms for warranties," said the rep. The UsedEngines.co company now has experts in the auto industry available to provide phone support to consumers who might have questions about the 4.2L or 5.3L blocks in stock. A person who has a direct question about warranty coverage can also call the support number at (989) 891-9212. The UsedEngines.co company supplies one of the only free to use junkyard replacement parts research tools accessible on the Internet in North America. The company inventory has now surpassed one million products consumers can explore daily. The UsedEngines.co website is visited daily by hundreds of auto parts buyers seeking MSRP discounts.